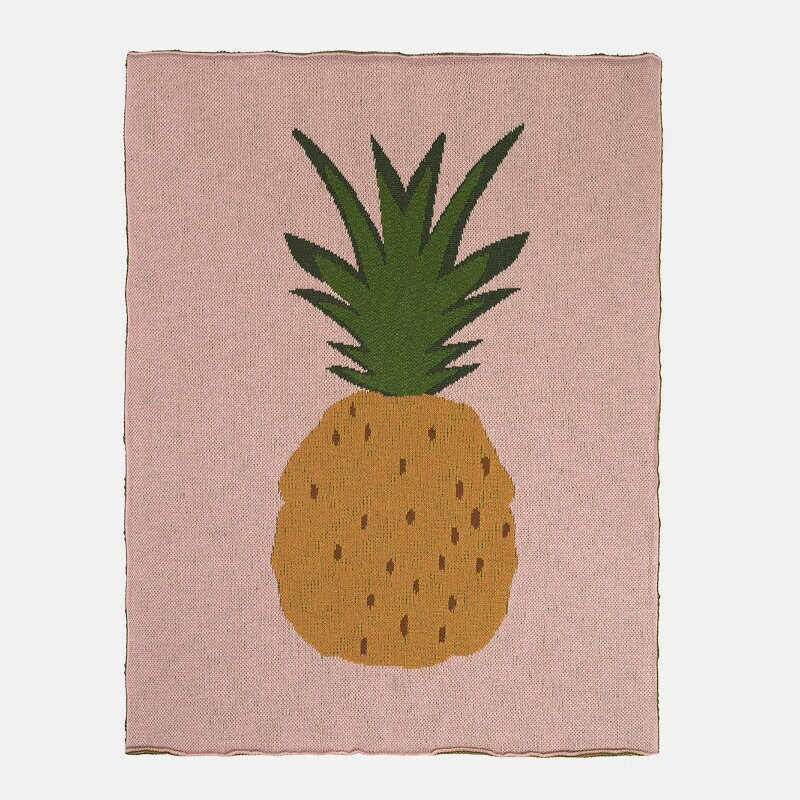 Welcome the new baby into the world with this beautiful Fruiticana series Pineapple blanket. Melange knit of cotton with shimmering metallic detailing. 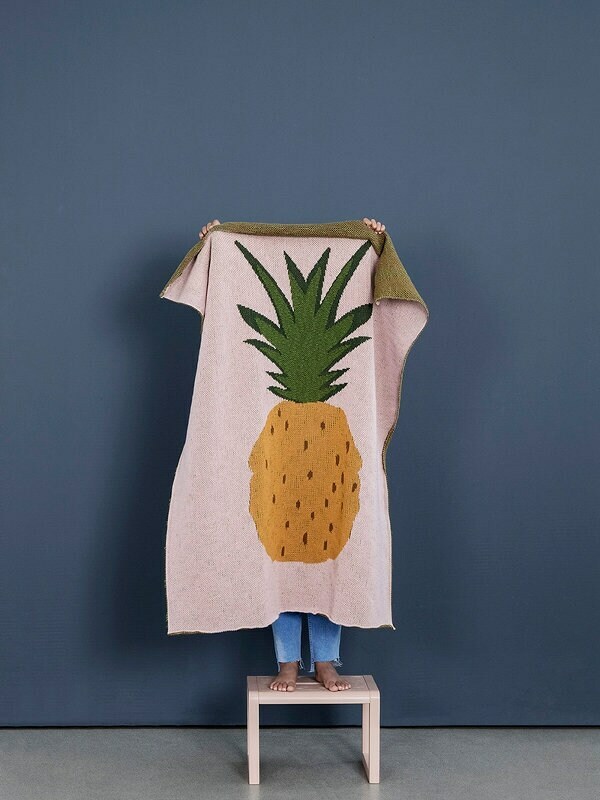 The Fruiticana series feature soft cushions, rattles, and music mobiles for small children and playful wallpaper in contemporary colours and with rich detailing.